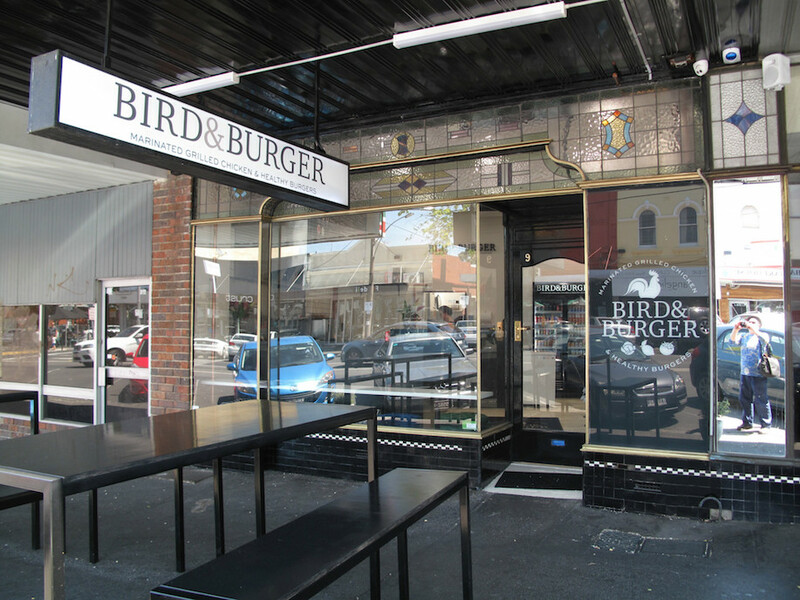 Bird & Burger lives in a premises long previously occupied by a similar operation with different management. 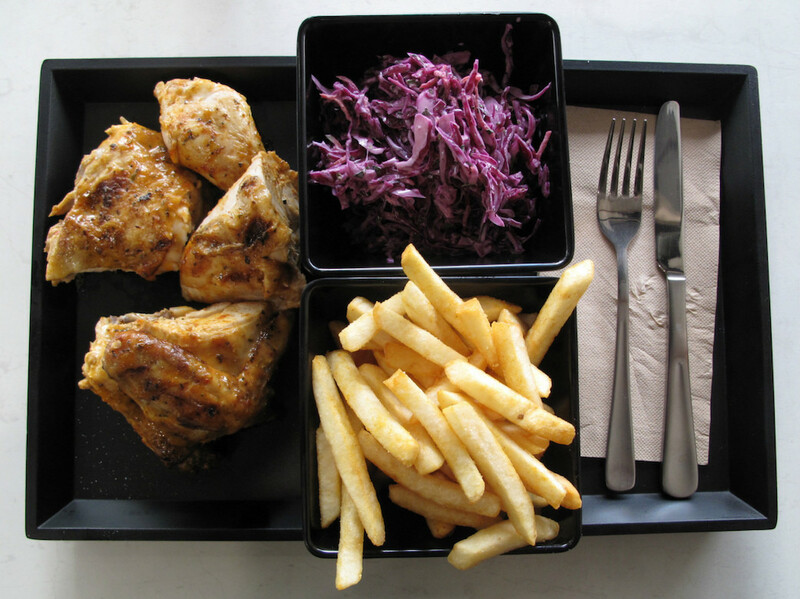 But this new lot are doing more than maintaining the location’s chicken shop tradition – they’re doing so splendidly. Here be fast food that really is fresh and delicious. The interior is mostly black and white, with eat-in seating options down to stools and a bench on one wall and a handful of snazzy ottomans facing the front window and another bench. There are, however, tall tables and more stools outside. My heart sinks a little when I see the plastic cutlery atop one of counters, fearing these useless tool may be served with my chicken. Not only am I supplied with metal cutlery, my meal is presented on a black platter, with chips and coleslaw in similarly angular bowls. The chips ($3.95) are hot, liberally salted and fine. The admission price of $6.50 for my coleslaw seems, at first blush, a little steep for what I’m thinking is just a side dish to a chicken meal. But here’s the thing – it is worth every cent. In fact, I’ll call it right here and now – this is quite possibly the best coleslaw I’ve ever had in a chook shop. Made mostly of red cabbage, and boasting subtle whiffs of tarragon and dill, it is well dressed without being sopping, has crunch yet is pliable – and is 100 per cent wonderful. My chicken falls into the “Yes, It Can Be Done” category. That’s right – even the very heart of the breast meat is as juicy as the rest of it. My half bird ($10.50) is marinated in the mild chilli sauce that is chosen from a list that also includes lemon and herbs, crunchy creamed peanut and outback BBQ. All is beaut and succulent. The classic beef burger ($12.50) comes from a menu that includes two other beef burgers, five chicken burgers and a lamb edition. 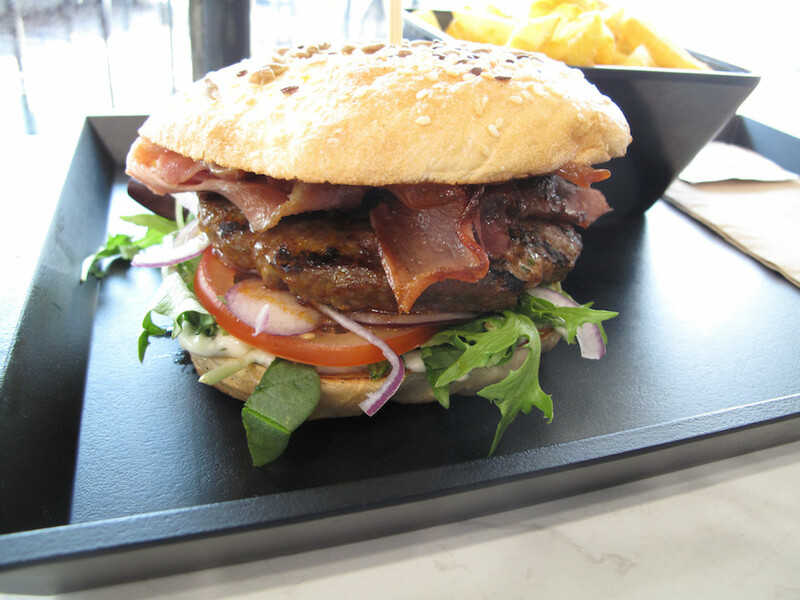 Our burger’s lettuce, tomato, red onion, tomato relish and herb aioli are joined – upon request – by excellent bacon for which no charge is levied. The beef patty is nicely charry and superbly seasoned with – I’m guessing here, as the staff mumble something about “top secret” when quizzed – oregano and other goodies. Every aspect of this burger is an outright winner. If CTS used points, I’d deduct one for the fact that this burger is such a gloriously messy handful that I resort, in the end, to eating it with a knife and fork. But in this case, I care not because everything is just so damn tasty. Bird & Burger is a fine establishment. CTS metaphorically clicks its heels as it saunters back to the car. CTS embrace means a lot here.it’s like you said,SPLENDIDLY! A lot better and more refreshing,when simple done well. Hi James,it’s on consider the sauce Facebook. Somali eats their decoration is unbeatable in flemington,their services is unbeatable in Flemington,the quality&taste is unbeatable in Flemington,if this restaurant was in Fitzroy,easily 4.5,but because it’s westie eatery it can’t get more than 3.5! Which is shutout don’t read too much into their report such media.we all know Somali eats is mentioned because of those reclaimed wood tables&chairs let’s be honest James.but this restaurant is for westie community to enjoy.the age ratings font matter here. Its not all about food such media James.the unspoken is we the westie should be thankful for 3.5 rating and very very thankful to be mentioned by them(such media). But from The Age’s point of view, there ARE just two Somali restaurants on Racecourse Rd. Because of their natures, and cultural myopia on the newspaper’s part, the others are invisible. 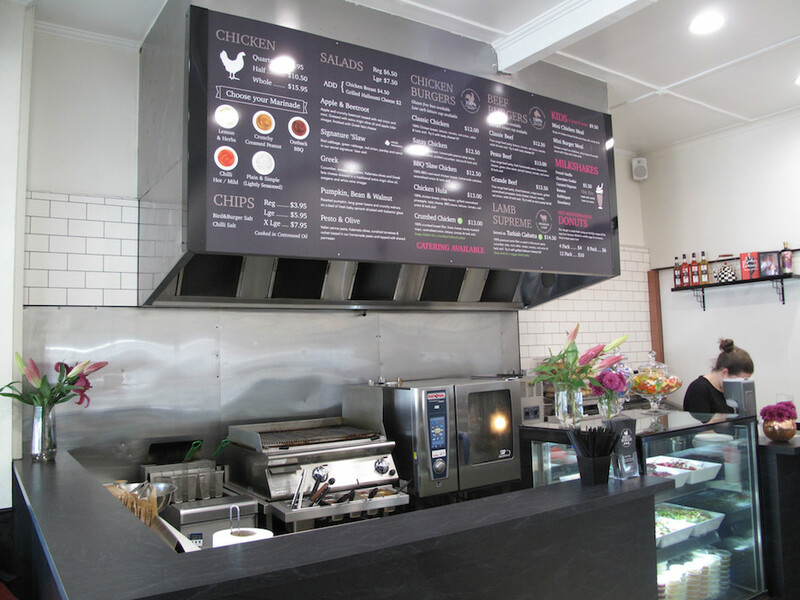 another way of saying”there is always room for such eateries in south Yarra but in westie ,it’s not expected&if they were it,their reaction is surprisingly! One comment I made was printed as hussen, Kenny you need to fix your website, but it delated on your website by mobile show my comment under Hussein at start! James, so far as I can see that is not the case. WordPress comments can get quite unruly and meandering. Also, you are using more than one email, which I doubt helps my blog platform unscramble who is commenting what, where and when! No matter, though! I LOVE that you are commenting! It’s all good Kenny,the comment is under my name,just saw it,Must been my mobile. Presumably hussen is Somali,I don’t know how old he is,but I’m 43 years old,worked with Somali community number of years,never met any community that make so much sense in my life.once you get to know them.even their young when they speak puts your brain to work James.it’s a community not noticed yet everywhere if I can put it This way! Thanks for the kind words price! This ratings is serious business to these media,they let go reporters many of these employers if they give 4 & above in westie joint. Location & ratings are correlated.it’s not about food as many unlearned think. Where tourists go is influenced by ratings,these reporters could mean keeping or losing their job how they rate.